The Moyross Residents Alliance Chairperson Tom Daly is very worried that locals tradesmen are not getting any work. Thomas o Kelly of Kelly's Demolition signed an agreement with tradesmen that he would employ locals to provide local employment where possible in regeneration areas. Unfortunately when these tradesmen went up they were told they could start the following day and when they went up the following day they were told there was no work for them. Now this is very demoralizing for these tradesmen as they had all their kit with them and then kelly's turned around and told them there was no work. This is very upsetting. We the MRA have a letter from Thomas o Kelly of Kelly Demolition saying he is willing to work and provide the employment for these people and this letter can be seen on the internet. 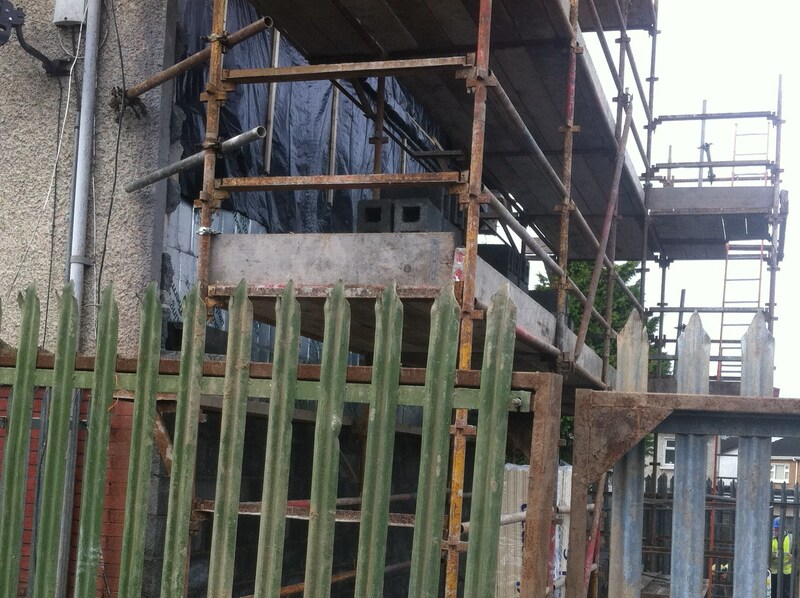 Now there is more health and safety issues with kelly demolition, they were building a gable end of a house in college avenue and they were using banned materials ''cavity blocks'' which were banned in the 70's. These materials are not fit for building houses. c When Mr Daly approached these block layers that were doing the work he said to them do you know that this material is banned? They turned around and said '' that limerick city council had passed this material and told them to do it''. Mr Daly said to the block layer I can't believe that Limerick City Council would pass this as the material is not suitable for building houses. As the MRA are unendated with calls from people complaining about the dampness and coldness with these blocks being used. Now surely to god Kelly Demolition knows these materials are not suitable. The only people we see using this materials is Kelly's and Smiths. Now there is also an issue with Kelly Demolition with health and safety in College Avenue. They had a big fence around a gable end house inside and another outer fence outside in which was wide open at the end of it. Now when Mr. Daly pulled the block layer on this the block layer said that Mr. Daly should have a vest on and a hat. Mr Daly said to him where are your signs to say health and safety that there is an ongoing building here and no one is to beyond this point as it was wide open which can be seen on the internet again on the MRALIMERICK.com website. Again this is blatantly breaking the rules of health and safety. This in not the first time we had problems with Kelly Demolition. As far as the Moyross people are concerned, we do not want Kelly's Demolition out here as we had big problems in Delmege Park and other areas which can all be seen on the internet. We are showing this video on behalf of a home owner in number 2 Delmege Park Moyross Limerick. Smiths Demolition built this gable end and its seperating out from the top. There is water leaking into the house. We had to highlight this issue because the homeowner went to Tracy Mc Elligot of the local forum and she was told that there is nothing they can do about it that the house was signed off on. We think this is disgracefull said Tom Daly Chairperson of the MRA and LRA that these demolishers can do shady work adn get away with it. It only happens in Moyross and we are not going to let them away with this. Smiths Demolition should come back out and rectify this problem. How is it that Tinnelly's Demolition and their builders done all this work in Moyross and we got no complaints what so ever? We are unendated with calls about Smiths and Kellys Demolition. This can not keep going as this woman in number 2 Delmege Park has not got the money to go over work that was already done and it is now up to Smiths Demolition to put this right and look after this home owner. We will update you soon about this story. We will update you on how this progresses and we will be writing letters. You will be able to see the damage to the house in the video below. The Chairperson of the MRA and LRA Tom Daly could not believe Mr. Kenny when he said he does not have to answer to anybody. This is a disgrace said Mr. Daly. Of course he has to answer to the people of these estates. It is our lives and our kids and grand kids lives he is dealing with. 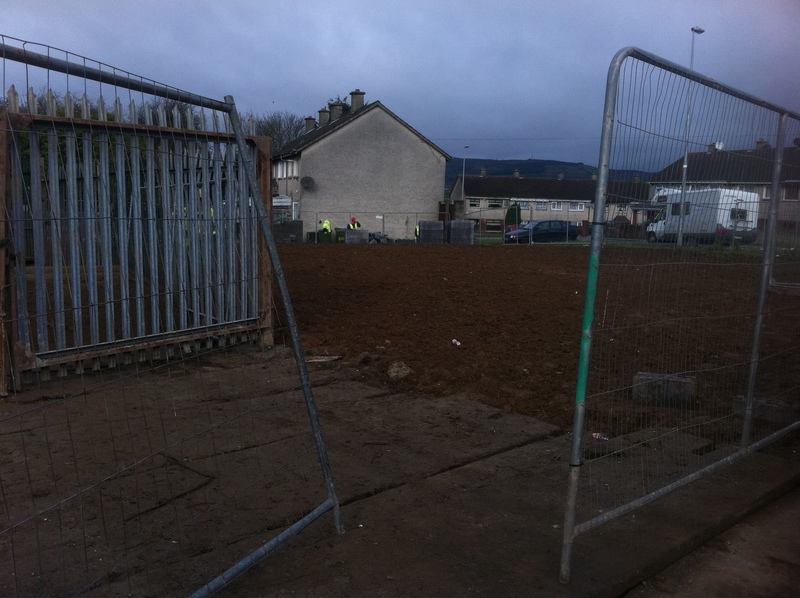 Mr Kenny was asked to get involved with the residents of moyross and other areas and it was to get involved with the youth in projects like the community garden in Delmege Park but he would not help nor contribute towards it. The LRA and the MRA had to do it out of their own pockets. Many other big events going back over the last 3 years which were a big success the like of Stars In The Hood, Monks V The Guards, The Limerick Toy Shows sponsored by the Asteroid Entertainment, Limerick Regeneration Association and The Moyross Residents Alliance. He was asked to sponsor these which came under the social regeneration banner to help the kids, but no he declined. These events made welcomed money for charities that are cash strapped at the moment the likes of Cancer Research, Special Olympics, Crumlin Hospital For Sick Children, Limerick Youth Service, St. Vincent De Paul Limerick, St. Munchins Center, Arch Unit Regional Hospital and 5000 worth of toys to Barnardos. There was an awful amount of work put into these events by events manager Jamie Daly, Martin O Halloran, Tom Daly and the rest of the committee in which we want to thank them for as we could not have done it without their help and there was a lot of smiling happy kids at these events. So when Mr. Kenny did not sponsor these events we knew then that he had no interest in the locals in these areas. We would like to thank Limerick City Council and all the other small business that helped us in making these events the success they were. It is great to see the Limerick people come on board with their own. We do accept that Mr. Kenny did do some things for the regeneration of our estates in Limerick but he could have done a lot more and he could have stopped his second in command Mr. Hayden going on local papers and portraying people of these areas as factions. You would swear we were in Iraq of some place like it. Also Mr Paul Foley should have been involved with this Regeneration project to the end of Mr. Kenny's term as he worked with the people and he would come in and sit down and talk to the people and listen to their issues and worries they had and it always seemed to have been worked out. We were told in the Fitzgerald Report that it was a build and knock project. That never materialized, we were supposed to see our new houses built right in front of us. All we got was tenants and home owners displaced, our school pupils dwindling, broken down infrastructures in our areas Big Empty Gaps. We hope this will all change and we are looking forward to working with our new minister Jan O Sullivan as she has promised to go into dialogue and work with the communities and residents in these areas and that is the way to go forward as the LRA and MRA have worked with Limerick City Council and things worked out. Due to a public meeting in the south hill center, Jan O Sullivan our T.D and our minister for housing asked a question four times ''did anyone know how many local people were employed on the Cliona Park Project?''. Not one person from within the Regeneration Agency or the local forums or limerick city council could stand up and tell Jan O Sullivan how many locals were employed. Mr Daly Chairperson of the MRA and LRA had to stand up and tell our minister how many people were employed within the Cliona Park Project. We the people of the Regeneration areas think that it was a disgrace that when our own agency who have overseen the Regeneration of Limerick City could not answer our minister. It tells us one thing, they had no interest in locals getting jobs in our areas. Again it goes down to one thing, bad management in the agency it also came to light that Brendan Kenny went to individuals houses and called to people in Moyross. Well I was unendated with calls saying that Mr. Kenny never called to anyone's houses homeowners or tenants. He most certainly did not call to Delmege Park where Mr. Daly lives but a couple years ago he did call to Mr Tom Baker and offered him 30.000 for his home when the man was sick and said ''what do you expect? Your living in a mini Baghdad''. We the people of the regeneration areas hope to God that our minister Jan O Sullivan and Phil Hogan will come into dialogue with the residents of Moyross, South Hill, Weston and St Mary's Park and we get this new Regeneration Committee working with the people.